PHOTO: Belinda Peisley with one of her sons. Circumstances - Belinda Peisley was last seen in Katoomba, NSW on the 26th September 1998. A young mum who went missing from her NSW home 12 years ago had inherited a substantial amount of money and her suspicious disappearance may be drug-related, police fear. Police have reopened the case of 19-year-old Belinda Peisley who was last seen at her Trow Avenue home in Katoomba, west of Sydney, on September 26, 1998. Ms Peisley had two young sons - aged three and one - at the time. "Despite significant inquiries, no trace of Belinda has ever emerged, although police are convinced she met with foul play," police said in a statement on Sunday. "Two years before her disappearance, Belinda inherited a substantial amount of money and was able to buy her Trow Ave home outright. "Police investigations revealed she had begun associating with a number of people involved with illicit drugs in the months before she vanished and have not ruled out Belinda's disappearance may have been drug related. "Despite significant inquiries, no trace of Belinda has ever emerged, although police are convinced she met with foul play." On Sunday, Ms Peisley's father Mark Werne appealed for help to find out what happened to his daughter. "Belinda was only just beginning her life and had two beautiful sons who she loved," Mr Werne said. "Of course, we would like to hold out some hope but deep down the family has accepted that Belinda is gone. "But until we know for sure, this will continue to haunt her sons and the rest of my family. "It is an unimaginably cruel situation for my grandsons who never really got to know their mum. "For their sake, I would ask anyone who knows what happened to Belinda to contact police and give this family a chance to lay things to rest and have some peace." Blue Mountains police local area commander Acting Superintendent Mick Bostock said a female witness - who was one of the last people to see Belinda - returned to the Katoomba house with detectives on Friday (November 26) to explain what she saw in the hope of triggering new leads in the investigation. "New witnesses have come forward in recent weeks with fresh information about her last months and we are slowly fitting together a number of pieces to this puzzle," he said in the statement. "A 37-year-old woman who saw Belinda shortly before she vanished recalls attending the Trow Avenue home and finding it ransacked. "It is likely Belinda was the victim of a drug-related incident and we are pursuing a number of fresh leads that will, hopefully, shed some light on her fate." 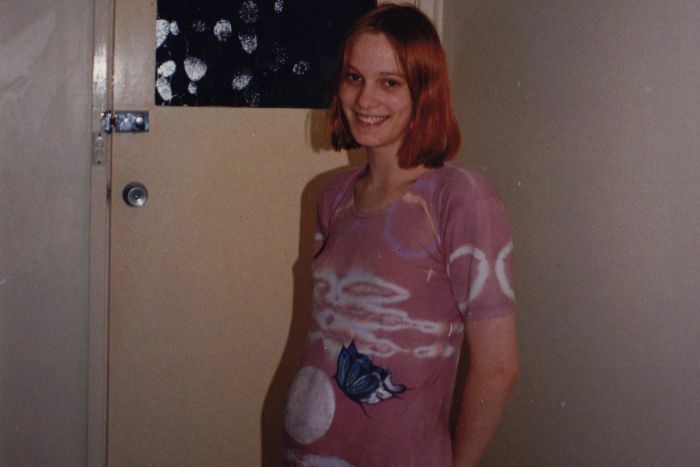 Police have re-opened an investigation into the suspicious disappearance of a teenaged mum from her Katoomba home in 1998. 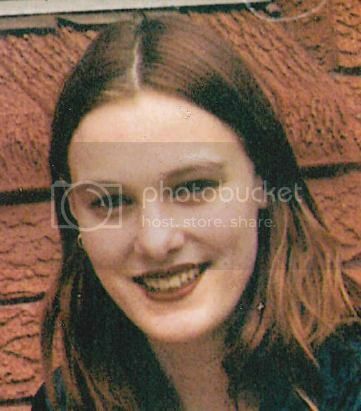 Belinda Peisley had inherited a substantial amount of money prior to her disappearance and was last seen at her Trow Avenue home in Katoomba on 26 September, twelve years ago. The 19-year-old woman had two young sons at the time aged three and one years. She has never been seen since. Despite significant inquiries, no trace of Belinda has ever emerged, although police are convinced she met with foul play. Two years before her disappearance Belinda inherited a substantial amount of money and was able to buy her Trow Ave home outright. Police investigations revealed she had begun associating with a number of people involved with illicit drugs in the months before she vanished and have not ruled out Belinda’s disappearance may have been drug related. 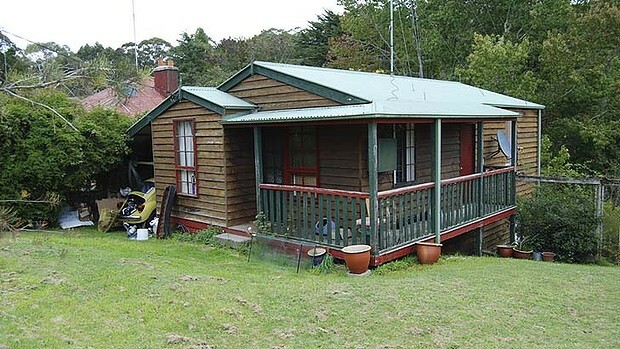 Blue Mountains LAC Commander, Acting Superintendent Mick Bostock, said a female witness – who was one of the last people to see Belinda – returned to the Katoomba house with detectives on Friday (26 November) to give an account of what she saw in the hope of triggering new leads in the investigation. “New witnesses have come forward in recent weeks with fresh information about her last months and we are slowly fitting together a number of pieces to this puzzle,” A/Supt Bostock said. “A 37-year-old woman who saw Belinda shortly before she vanished recalls attending the Trow Avenue home and finding it ransacked. 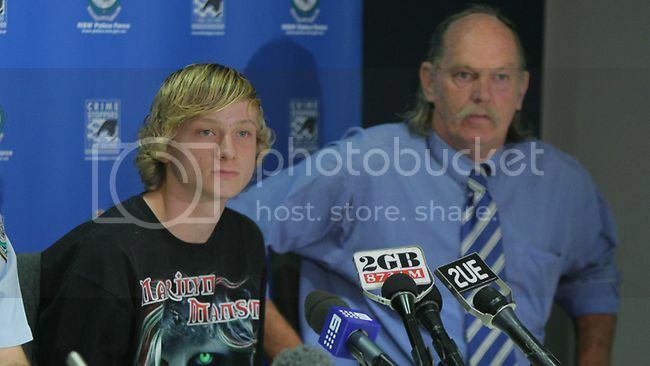 Belinda’s father, Mark Werne, appealed to anyone with any additional information to come forward. “Belinda was only just beginning her life and had two beautiful sons who she loved,” Mr Werne said. “Of course we would like to hold out some hope but deep down the family has accepted that Belinda is gone. “But until we know for sure, this will continue to haunt her sons and the rest of my family. “It is an unimaginably cruel situation for my grandsons who never really got to know their mum. The family of missing Katoomba woman Belinda Peisley made a new appeal for information this morning. Her two sons, Cody Peisley, 16, Billy Moffett, 14, her father William Wearne and ex-partner Andrew Moffett pleaded for anyone with information to come forward. The brothers were aged just three and one when their mother Belinda Peisley vanished from her Trow Ave, Katoomba home on September 26, 1998. Minister for Police, Michael Gallacher, says police have a number of persons of interest, but are asking for the public's assistance with information. "There were a number of people Belinda associated with prior to her disappearance and we believe that either one or more of them have knowledge about what happened to Belinda," he said. The appeal comes as the News South Wales State Government today announced a reward of up to $100,000 for information leading to an arrest and conviction. Mr Wearne described Belinda as a "good kid", and asked anyone with information to contact crime stoppers or Springwood detectives. 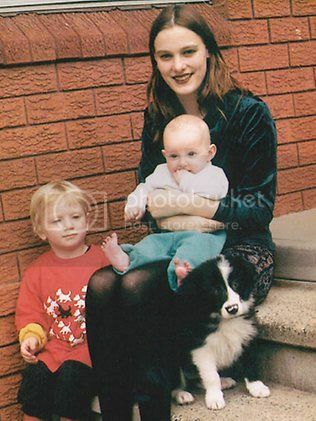 Ms Peisley was 19 when she disappeared and was last seen on September 26, 1998, at her Katoomba home. It is believed she met with foul play. CODY Peisley was three and his brother Billy just one when their mother Belinda Peisley disappeared from Katoomba in 1998. Now 16 and 14, they just want to know what happened to her. The boys hope a $100,000 reward announced yesterday will finally bring them answers, then they can "at least try to move on", Cody said. "It's about actually knowing what happened," he said. Ms Peisley's father William Wearne said his daughter's disappearance had been particularly hard on his grandsons. "William, I doubt he would even remember his mother, and Cody, barely," he said. "Any questions they have about their mother, they have to ask a third party rather than knowing her." Mr Wearne said his daughter was a "good kid" who loved her children. He said the family - including her former partner Andrew Moffett - won't have closure until they know what happened to her. "Everyone says: 'You've got to get on with your life and you've got to go forward' but it's always in the back of your head ... every single day," he said. Ms Peisley was just 19 when she left her Katoomba home on September 26, 1998, and police believe she met with foul play. She had received an inheritance but police said a drug addiction had left her in debt. Acting Superintendent Robert Vellar urged anyone with information to come forward. "They might be scared, they might be apprehensive about speaking with police, but they may also be protecting other people. "This is an opportunity to come forward, to clear their conscious and help police solve this matter," he said. Police are renewing an appeal for information into the disappearance of a Blue Mountains teenager after the NSW State Government announced an award for information that may help solve the case. Nineteen-year-old Belinda Peisley was last sighted at her home on Trow Avenue, Katoomba, on 26 September 1998. Officers from Blue Mountains Local Area Command established Strike Force Belonidae to investigate her disappearance. Blue Mountains Local Area Commander, Acting Superintendent Rob Vellar, says that police attached to the Strike Force have conducted extensive inquiries, but need further public assistance. “Police have identified a number of persons of interest and followed numerous lines of inquiry. “Our investigations have revealed that Belinda received a considerable inheritance prior to her death, and that as a result she had many people frequenting her residence. “She had also developed a significant drug problem and had accumulated considerable debt. “We believe she met with foul play but need more information from the public to put the pieces of the puzzle together and make a breakthrough,” Acting Superintendent Vellar said. 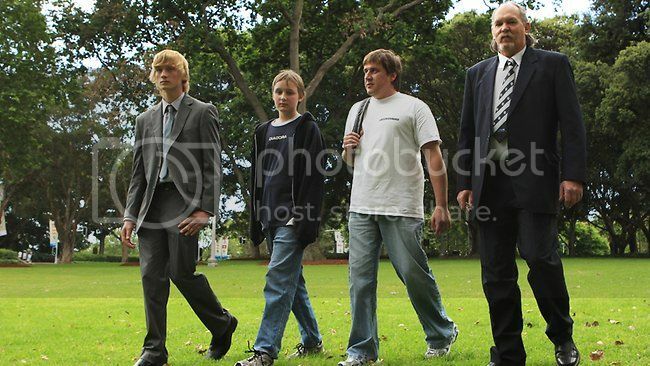 When Ms Peisley disappeared, she left behind two sons, who are now aged 16 and 14. In the hope of receiving new information, the NSW State Government has today announced a reward of up to $100,000 for any information leading to the arrest and conviction of the person or persons responsible for the disappearance, and presumed murder, of Belinda Peisley. Anyone with information that can assist investigators should contact Crime Stoppers on 1800 333 000. Police have uncovered crucial new information about the mysterious death of a young mother in 1998, suggesting it may have been related to a string of drug-related break and enter offences by people she knew. For more than 13 years police attempted to uncover what had happened to the young woman, but found little solid evidence beyond the fact that, shortly before her disappearance, the 19-year-old had inherited a significant amount of money. But the coronial inquest into Ms Peisley's death - resuming on Tuesday after a five-month break - heard that "significant new information had come to light" following "significant further investigation". The inquest, at Katoomba local court, heard that there had been a number of drug-related break-ins around the time of Ms Peisley's disappearance, in which property had been stolen from homes around Katoomba and then sold to pawnshops in western Sydney. A number of these break-ins were allegedly undertaken by some of Ms Peisley's friends, most notably her former boyfriend Oliver Tipping and his friend Jeremy Douglas. The inquest heard that, shortly after Ms Peisley disappeared, the woman who was part of the alleged break and enter racket, Joanne Thompson, had used identification cards belonging to Ms Peisley when selling the stolen goods to pawnshops. "Oliver [Tipping] told me in a conversation that Joanne was using her [Belinda's] ID," a friend of the alleged robbers, Shane Heffernan, told the inquest. A distinctive maroon Jaguar belonging to one of the men was also seen outside Ms Peisley's house around the time of her disappearance. Mr Heffernan said this car belonged to Jeremy Douglas and had been obtained with "money from a break and enter". Police said last week that they now believe Ms Peisley was murdered, and that they have begun searching bushland at Blackheath, near Katoomba. The inquest, before Deputy NSW Coroner Paul McMahon, continues. At the end of the day, someone hurt Belinda but they're still out there living their life and they've taken hers. But in late 2012, investigators uncovered new information suggesting the young woman may have been the victim of foul play within the group of young people she was spending time with, many of them drug users. An inquest into Ms Peisley's death was initiated and police began searching a large swath of bush land near Blackheath. The inquest heard that a few days after her death, Ms Peisley's house was broken into by a number of her former friends and acquaintances, who later used her identification cards to sell items at a western Sydney pawn shop. Two of the 19-year-old's former friends - Jeremy Douglas and Saxon Holdforth - became "persons of interest" at the inquest, with the scrutiny on their activities intensifying. The inquest received evidence from multiple witnesses suggesting that Ms Peisley had been killed and thrown off one of the Blue Mountains' many cliff edges. "Some of the things I have heard over the years is that Jeremy, Saxon and Olly [Peisley's former boyfriend Oliver Tipping] took her in a car and bashed her and left her somewhere," Kerren Fittler said in a handwritten statement to police. "After they've left her they've come back and got her body and done some things to her before or after she was dead and chucked her over the cliff. "I heard she was killed over drugs or she wouldn't give them what they wanted." On Wednesday, counsel assisting the inquest, Phillip Strickland, SC, said the evidence relating to the exact manner and cause of the young woman's death was inconclusive, but that it did "point strongly to her death being the result of some sort of homicide or violence". "Much of the hearing has been directed towards whether these persons of interest had knowledge of or direct involvement in the circumstances surrounding Belinda Peisley's death," he said. "The evidence regarding these persons is inconclusive and not capable of convincing a jury that a known person committed an indictable offence." Speaking after the hearing, Ms Peisley's aunt, Sharon Versace said she was "very, very disappointed" that charges would not be laid. "At the end of the day, someone hurt Belinda but they're still out there living their life and they've taken hers," she said. "I'll never give up, the detectives have come so far - I'm hoping that one day we'll get some good news. It won't bring Belinda back, but it will be a bit of justice for the family." It’s been 20 years since 19-year-old Belinda Peisley disappeared from Katoomba and her family still has no answers. It took eight years for the police to report Ms Peisley’s death to the coroner, and in 2012 a coroner’s inquiry found she died in or around Katoomba, but couldn’t say how. The case was referred to the Unsolved Homicide Unit for re-investigation. An ABC documentary Who Killed Belinda Peisley? which airs on August 7 during national missing persons week, raises more questions about her disappearance. Ms Peisley’s father Mark Wearne, who is part of the film, told the Gazette he didn’t believe his daughter’s disappearance had been adequately investigated. Mr Wearne raised one of Ms Peisley’s two sons, Cody, until he turned 16 and, Mr Wearne recalls him frequently asking what happened to his mother and when he would see her again. Documentary-maker Helen Barrow followed the case for more than seven years, taking her cameras into the homes and lives of Ms Peisley’s family, neighbours, friends, witnesses and persons of interest, and into the courtroom each day of the inquest, to follow her story. “We started filming in 2012 and 2013 and the coroner and counsel assisting agreed to further filming in 2018, and the NSW police declined to be involved in the documentary,” Ms Barrow said. A NSW Police spokeswoman said: “Despite extensive investigations and numerous ground searches by local police and the Homicide Squad over the years, Belinda has not been located. “Investigators identified numerous persons of interest and explored various lines of inquiry, which were tested during a coronial inquiry. Mr Wearne has appealed for anyone with information, no matter how trivial, to come forward. Call Crime Stoppers on 1800 333 000. Forensic officers have found "items of interest" just hours into a forensic excavation and search at the former home of a Blue Mountains woman who went missing more than 20 years ago. Police started digging with shovels under the former home of Belinda Peisley on Monday morning and are planning to divide the large backyard into sections and start digging it up on Tuesday. By Monday afternoon, a NSW Police spokeswoman was already able to confirm that "items of interest have been located". The nature of the items is unknown, as is the number that have been found so far. Ms Peisley's father Mark Wearne told a media conference outside the house that the wait for more evidence had been painful for the family, and he was "very grateful" for the "very heavy police presence" there. "I’d like to see every copper in NSW be here," Mr Wearne said. Ms Peisley, then 19, was last seen in the Katoomba area on September 26, 1998. In late 2012, investigators uncovered information suggesting she may have been the victim of foul play within the group of young people with whom she was spending time, many of them drug users. Two years before she disappeared she had inherited a large amount of money and bought herself a home. But by the time she died, Ms Peisley was a drug addict and the only money coming into her account was from welfare payments. Police said she had "accumulated considerable debt" as a result of her drug problem. An inquest into Ms Peisley's death was initiated and police began searching a large swath of bush land near Blackheath. The inquest in 2013 heard that a few days after her death, Ms Peisley's house was broken into by a number of her former friends and acquaintances, who later used her identification cards to sell items at a western Sydney pawn shop. "I heard she was killed over drugs or she wouldn't give them what they wanted," Kerren Fittler said in a handwritten statement to police. Mr Holdforth and Mr Douglas steadfastly maintained their innocence at the inquest. Counsel assisting the inquest, Phillip Strickland, SC, said the evidence relating to the exact manner and cause of Ms Peisley's death was inconclusive, but that it did "point strongly to her death being the result of some sort of homicide or violence". The inquest found Ms Peisley most likely died about the time of her disappearance but it could not determine the cause or circumstances of her death. The last person to see her alive was a nurse at Blue Mountains Hospital, the coroner said, but there was "considerable suspicion" three other people had some knowledge or involvement in her death. Despite extensive police investigations and ground searches, her body has never been found. 'I never, ever expected foul play': What happened to Belinda Peisley? 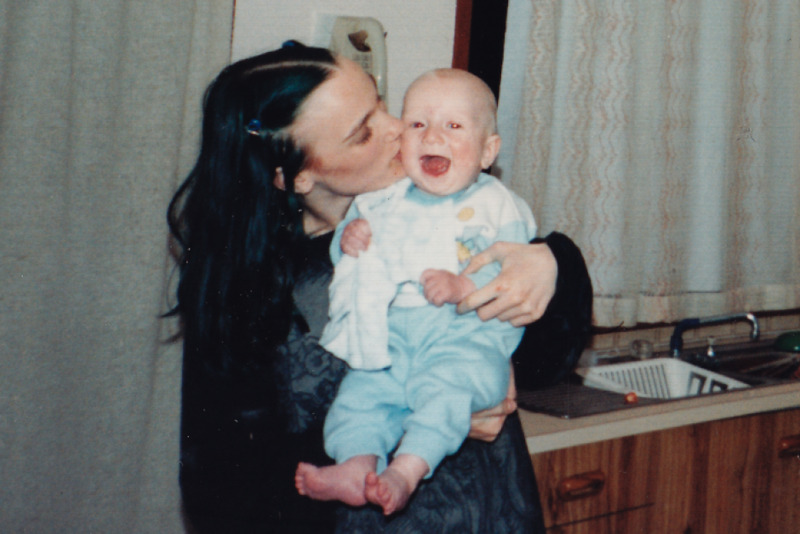 Nineteen-year-old single mum Belinda Peisley vanished from a hospital in the Blue Mountains in September 1998. Years later, an inquest uncovered a murky network of friends and locals around her in the last few months of her life. Her family hangs onto the hope that someone knows something and will come forward with new information. About a week before she disappeared, Belinda Peisley drove for over an hour from Katoomba, west of Sydney, to visit her aunt, Sharon Versace. Sharon told the inquest she remembered her niece turning up unexpectedly with a man she didn't recognise — both he and Belinda were very distressed. "She was in quite a state saying she was fearful for her life," said Sharon. "She was sure someone was trying to kill her." Sharon told Belinda to go to the police, but Belinda said she felt they couldn't offer her enough protection. Instead, it seemed, Belinda had made a plan. "She said she had connections that could get her passports and fake identifications so she could start afresh." Sharon said, for a long time, she believed Belinda had fled interstate. "I thought that one of these days I'd get a call and she'd be like, 'Here I am!'" But that phone call never came. Belinda's frantic visit to her aunt's place that day would be the last time Sharon ever saw her. Years later it would emerge that, in the months before Belinda disappeared, she had told a number of people, including Sharon, that she was scared and someone was trying to hurt her. I couldn't believe anyone would want to kill Belinda — I never, ever expectedoul play. A coronial inquest was held into Belinda Peisley's disappearance and suspected death in 2012 and 2013. Members of Belinda's family, the local police and her social circle in Katoomba all gave evidence. Among them were six people named by police as persons of interest. The third season of the ABC's Unravel podcast, Last Seen Katoomba, examines the evidence around these six persons of interest. The coroner basically ruled out three of the six persons of interest: Jason and John (whose names have been changed for legal reasons), and Wanda Loynds. Regarding the other persons of interest — Heidi Wailes, Jeremy Douglas and Luke (whose name has been changed for legal reasons) — the coroner found the available evidence was inconclusive, but did raise considerable suspicion as to the possibility of knowledge and/or involvement in Belinda's disappearance and/or subsequent death. More than 20 years on, some people are still too scared to speak about Belinda and her case. Could some of the people at the inquest know more about what happened to her? Belinda Peisley was last seen leaving a hospital in Katoomba in the Blue Mountains around 8:50pm on September 26, 1998. Police had brought her to the emergency department at about 8:30pm from her nearby home. At the hospital, a nurse triaged Belinda noting she seemed agitated, had a laceration on her right hand and wouldn't remove her jacket. Before a doctor could see her, Belinda walked out of the emergency department. Despite several police investigations stretching across two decades, Belinda has never been found. A year before she vanished, Belinda Peisley had inherited $150,000 from a distant relative. She used a large portion of the money to buy a house in Katoomba. Belinda's aunt, Sharon Versace, said she helped Belinda buy the house and was proud Belinda had used her money wisely. "She did the right thing and went out and bought a little cottage," said Sharon. At the time Belinda was born, Sharon lived with her sister Lesley Peisley, Belinda's mother, for a few years, so Sharon helped to raise Belinda and had a close relationship with her. "Belinda was a real little sweetie; always wanting to do things to help Lesley," said Sharon. "Even from a very young age, making her cups of tea and helping out with things around the house — she was really good like that". Belinda's father, Mark Wearne, was absent from Belinda's childhood, and Sharon says Lesley had mental health issues so things weren't easy for Belinda. When Belinda hit her teens, she became what Sharon describes as "wilder and less controlled": Belinda dyed her hair dark, was listening to heavy metal, and started hanging with the "wrong crowd". Belinda was going out at night, partying, taking drugs, and Sharon felt there wasn't a lot of stability. Belinda ran away from home a number of times, stayed in women's refuges, and lived with Sharon for a while. By the time Belinda was 15, she was pregnant with her first son, Cody, and soon after she had another son, Billy. Belinda and her family had known for a few years that Belinda was due to receive the inheritance when she turned 18. When the time came, Sharon said she persuaded Belinda to buy a house. "It just would've been devastating to waste that money," said Sharon. "She was lucky to have that opportunity, so basically we made it known that this was setting her up for life — she could start afresh and it was good for her sons". Belinda moved into the house with her then three-year-old son, Cody. Her younger son, Billy, lived with his father in Sydney. Within six months of buying the house, Belinda disappeared. The last time Belinda was reported being seen alive was at the hospital in Katoomba on September 26, 1998. However, the last known contact Belinda made was a phone call to her mother, Lesley Peisley, at around 10:30pm that night. Lesley had been looking after Belinda's son, Cody, and Belinda asked Lesley to bring Cody up to her Katoomba home. Lesley lived locally but told Belinda it was too late in the evening, so they would come in the morning instead. In the days afterward, Lesley did go to Belinda's home with Sharon Versace, but Belinda wasn't home. They saw that Belinda's house had been trashed: windows and mirrors were smashed and there was blood on the floor of the bathroom. In the lead-up to her going missing, Belinda Peisley told multiple family members, including Sharon Versace, she was fearing for her life. Since moving to Katoomba, Belinda had become involved in the local drug community, and her home had become like a "drop-in centre", as one witness described at the inquest. People in the community would visit her home anytime, day or night, and sometimes would stay for periods of time, with or without Belinda's permission. It appeared to one witness at the time that Belinda had lost control of her home and she was sick of people coming to her house and using drugs. Belinda's ex-boyfriend, Andrew Moffett, the father of her son Billy, told the inquest he noticed things started to change after Belinda moved to Katoomba. After the move, they used to keep in touch by talking on the phone, and Andrew said one particular phone call sticks out in his mind where he says Belinda told him she'd got herself into trouble. "She said she'd dug a hole for herself and she was getting herself out," said Andrew. Andrew said Belinda was stressing to him that she loved both he and Billy, and she wanted them to remember that. I didn't realise she was in as much trouble as she was actually in. Evidence from Sharon and from Belinda's boyfriend at the time she disappeared, Jason, shows that in the weeks leading up to her vanishing, Belinda had shown a desire to leave Katoomba. In the days before she disappeared, some of the people Belinda had considered friends had broken into her home. 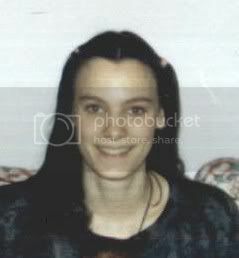 At the inquest in 2013 into her disappearance and suspected death, the coroner found that the evidence Belinda was alive after September 26, 1998, is marginal, and is satisfied that it is more probable than not that Belinda is dead and that she died on or about September 26, 1998. In December last year, there was a moment of hope for Belinda Peisley's family. New South Wales Police found three items of women's clothing during a forensic dig under Belinda's former home in Katoomba. In March 2019, police released photos of the items exclusively to Unravel. The commander of the NSW Homicide Squad, Detective Superintendent Scott Cook, told Unravel the clothes had been subjected to numerous forensic examinations that provided investigators with further lines of inquiry. "As detectives continue to explore these lines of inquiry, we are appealing to the community for information that may assist us in our pursuit of justice for Belinda and her loved ones," Detective Superintendent Cook said. What has become clear in the years since she disappeared is that wherever Belinda ended up after leaving the hospital that night, she probably wasn't alone. In the end, the coroner found it is more likely than not that Belinda Peisley's death was the consequence of the action of a third party, and that the matter was to be referred to the unsolved homicide unit of the NSW Police Homicide Squad for further investigation. Belinda's father, Mark Wearne, who had reconnected with Belinda a year before she went missing and attended the inquest to give evidence, said the inquest brought Belinda's case into the public limelight and onto public record. "Whereas, prior to the inquest it was just a closed personal tragedy," said Mark. No parent should ever bury their own child, and what makes it even more difficult is we don't even have a body to bury. "We just want to know the truth; we just want to know what's happened," said Mark. "At the end of the day that's the hardest thing: not knowing if she's alive or if she's not," said Belinda's aunt, Sharon Versace. "The 'not-knowing' is the worst thing". 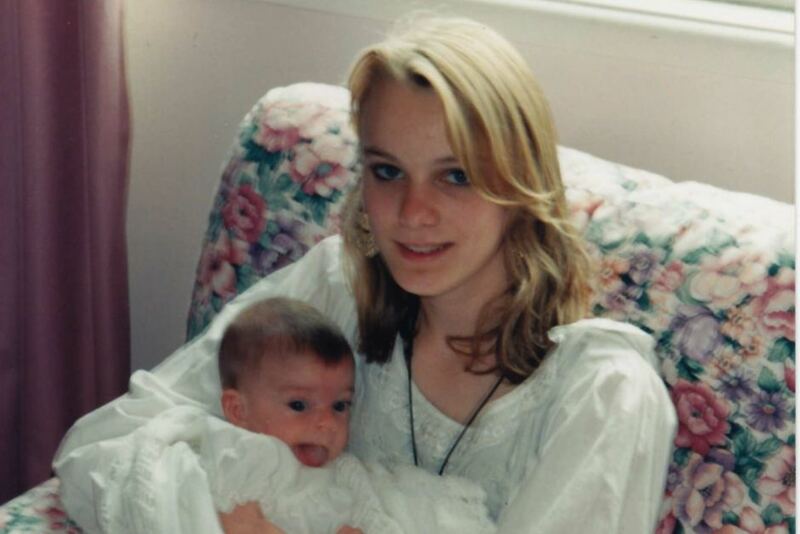 Belinda's mother, Lesley Peisley, said for a long time she held on to hope that Belinda was alive. "I thought she would come back or they'd find her," said Lesley. "But once I got the report from the coroner saying a 'homicide' giving the date of her death, I had to accept she was gone." Lesley said she has never found a way to cope with the loss of her daughter. "I just felt the void. Basically it's a continual loss." The disappearance of Belinda Peisley is the focus of season three of the Unravel True Crime podcast, Last Seen Katoomba. Subscribe on the ABC listen app, Apple Podcasts or wherever you get your podcasts. Detectives have released images of clothing, including underwear, of a missing Sydney woman who has not been seen for 21 years. 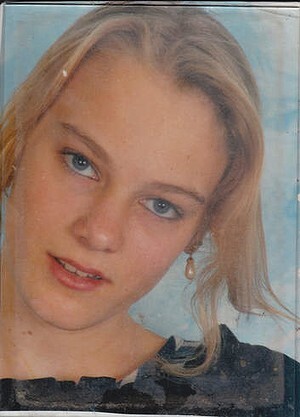 Belinda Peisley, then aged 19, was last seen in the Katoomba area of the Blue Mountains on Saturday, September 26, 1998. In December last year, detectives from Strike Force Belonidae – formed exclusively to investigate Peisley’s disappearance – conducted a forensic examination underneath her former home in Katoomba. The dig recovered a number of items, including underwear, a skit and a top that had been buried underneath the property. Homicide Squad Commander, Detective Superintendent Scott Cook, said the clothes have been subjected to numerous forensic examinations, which have provided investigators with some further lines of inquiry. “As we continue to explore these lines of inquiry, we are appealing to the community for information that may assist us in our pursuit of justice for Belinda and her loved ones,” Det Supt Cook said. The search for Peisley, a mother of two, has been ongoing for more than two decades. In the late 1990s, local police and officers from the Homicide Squad launched extensive investigations and numerous ground searches into the whereabouts of the then 19-year-old. Despite exploring various lines of inquiry and identifying numerous persons of interest, Peisley has never been found.